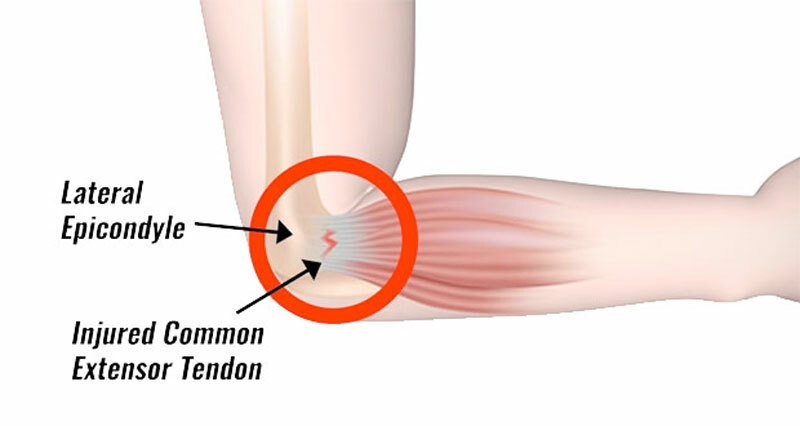 Tennis Elbow (also known as lateral epicondylitis, lateral elbow tendinopathy or extensor tendinopathy) is a common term used to describe chronic pain on the outside of the elbow. 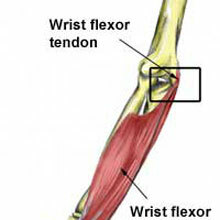 Despite its name, playing Tennis is less likely to be a cause of injury than repetitive strain from work-related activities. 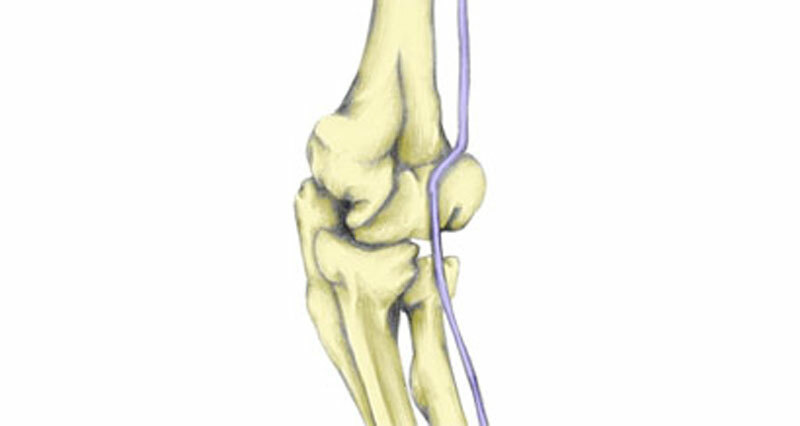 The cubital tunnel is an area on the inner elbow through which the ulnar nerve passes. 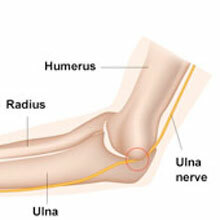 Cubital tunnel syndrome is caused by compression on the nerve and may also be known as ulnar nerve compression or hitting your ‘funny bone’. 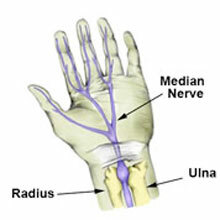 There are various reasons why the nerve becomes compressed, including arthritis and repetitive bending of the arms. 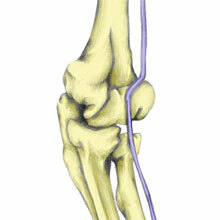 Injury to the median nerve at the elbow may cause symptoms to appear in the forearm, wrist, and hand. 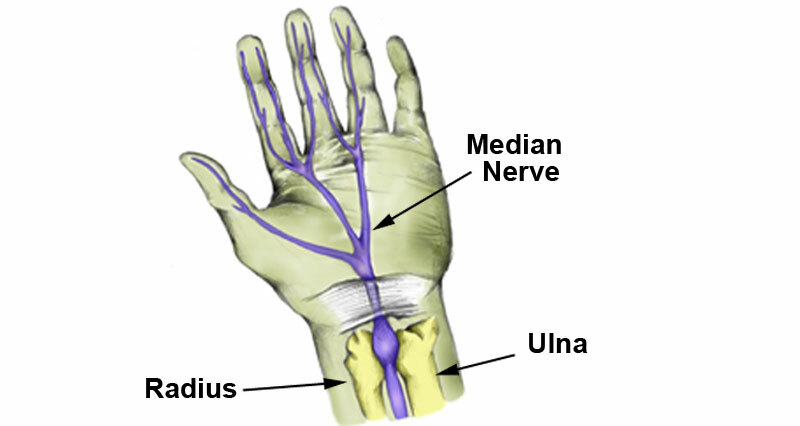 Median nerve injuries are often caused by another acute injury which traps or tears the nerve, causing numbness in the forearm. 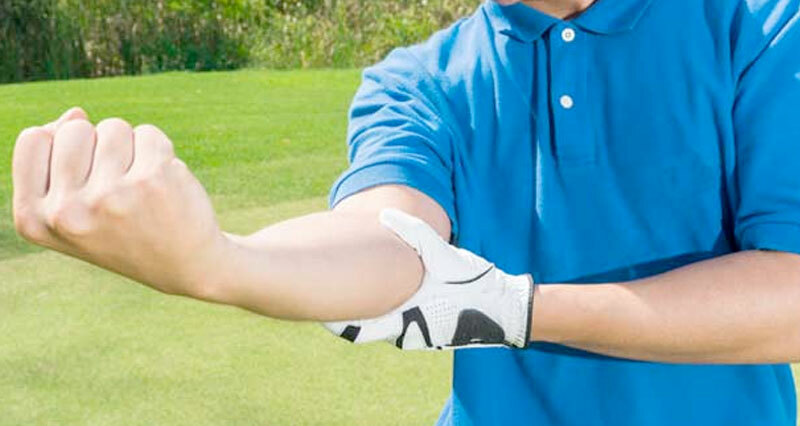 Read more on the symptoms, causes, and treatment of this arm injury. 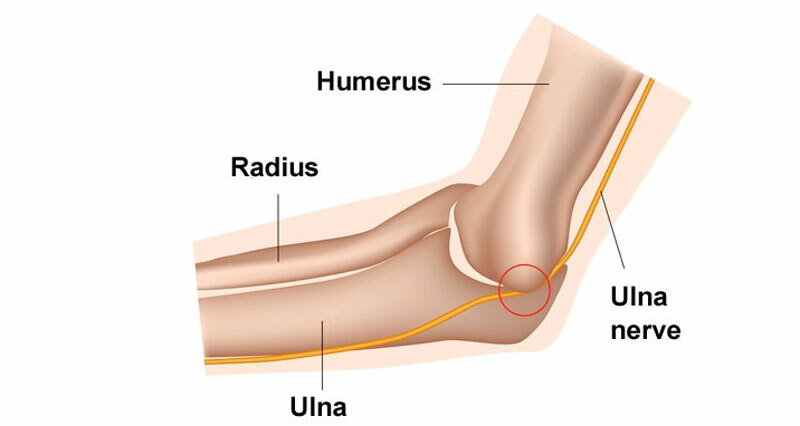 Radial tunnel syndrome, also known as radial nerve entrapment and entrapment of the posterior interosseous nerve, occurs when the radial nerve gets compressed or restricted causing pain on the outside of the elbow, similar to that of tennis elbow.